Loaded AND quilted in the SAME day?!?! That’s crazy talk!!! I am SEW much slower than that. 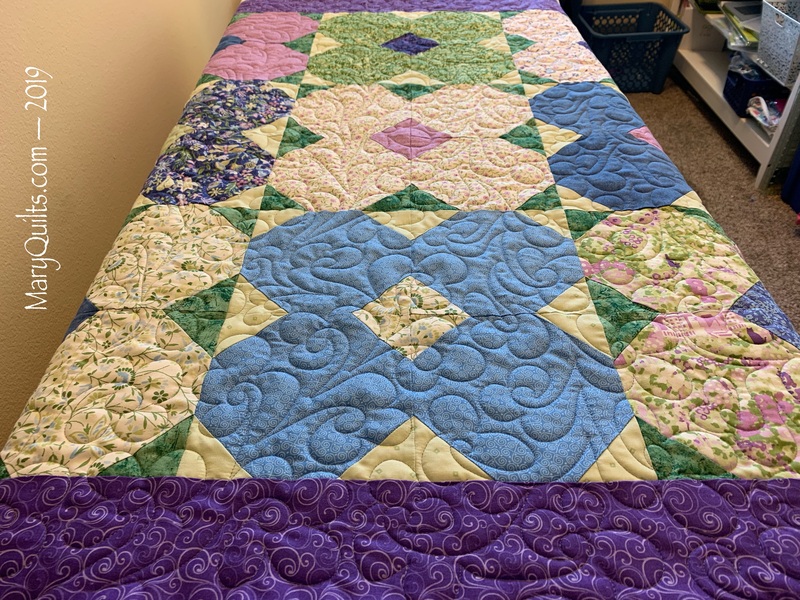 Lovely quilt, be sure and show us the whole quilt when finished. Just bought the dvd on eBay. Really nice quilting. The colors in the quilt are calming. Nice. Thank you for your blogging.